Hi everyone! I'm easing into 2013 with one little old card:) I hadn't planned on taking so much time away from crafting but you know how that goes;) Now I'm slowly gaining traction at the craft table and really looking forward to a crafty year! Now let's talk cards! I live in a household of men and boys, so most of the the Valentine's Day cards around here aren't your standard frou-frou pink and red;) I used one of the new sentiments from Lots of Love, and it was the perfect size to work with the typewriter cut file that I picked up from the Silhouette store. I love how the piece of paper comes out of the typewriter! 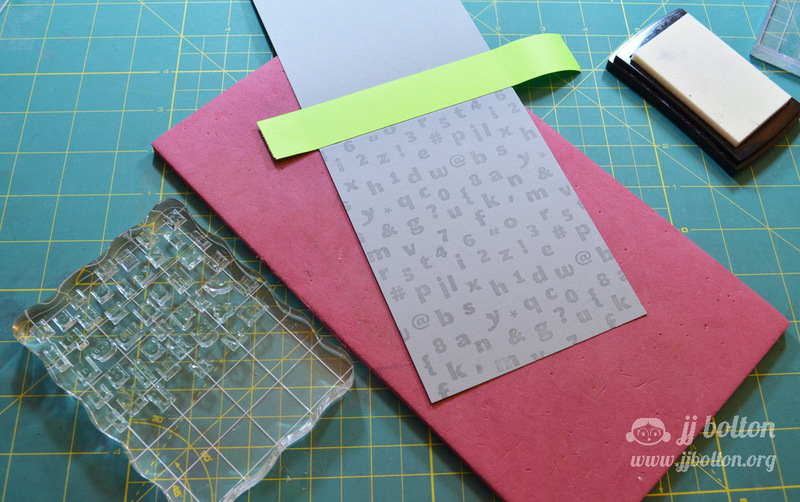 To create the texty background, I put all the letters and symbols from Fun with Letters onto a stamping block and stamped them with Versamark onto gray cardstock. 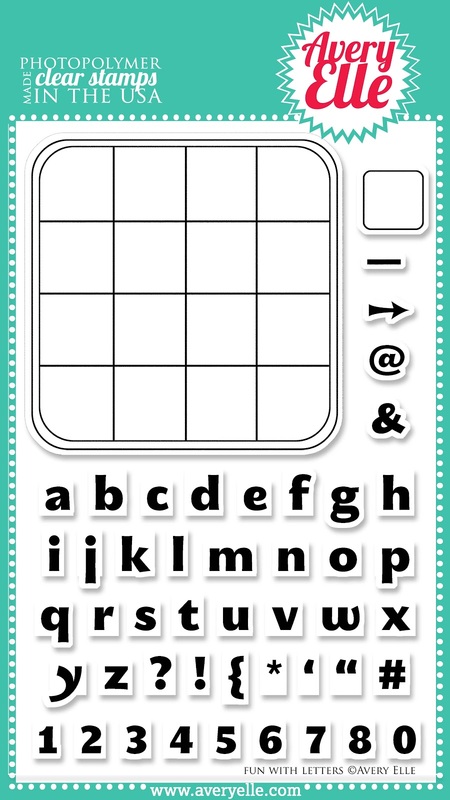 Simple but fun! I hadn't planned on it initially, but I really love the gray/mint green combo! Here's to lots more cards and posts in 2013! Thanks so much for stopping by! I'm looking forward to catching up on all the great stuff you've been working on too! A perfect Valentine for a 'house full of boys'. Very creative. JJ, this is brilliant! I adore the color combo and it IS perfect for those men in our life!! Love the use of all the letters for the background! Love this card JJ! I love that background you created and love the mint green typewriter! is this a silhouette file? cuz I am buying it! This is so totally adorable! Love this color combo! Happy 2013, JJ! Love that sweet typewriter and how you tied it in with the background. Grey and green .. who woulda thunk it? Cuteness! I want that LOVE YOU set! 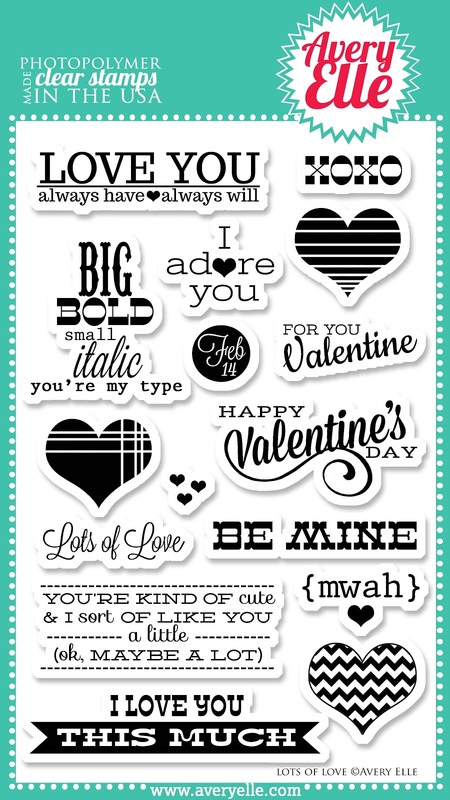 Ooh, the trained graphic designer in me digs this awesome card. Luckily, you make cards a billion times better than I write poems (hahaha) ... so in love with it ALL! Very cool color combo, and I love the paper coming out from the top of the typewriter! Must.play.with.Silhouette. And gosh, isn't Kelly a great poet? This is so clever, love the Versmark on the gray! Hi JJ . Love that typewriter, perfect for a house full of boys enjoy your craft time. SOOOOO cute! 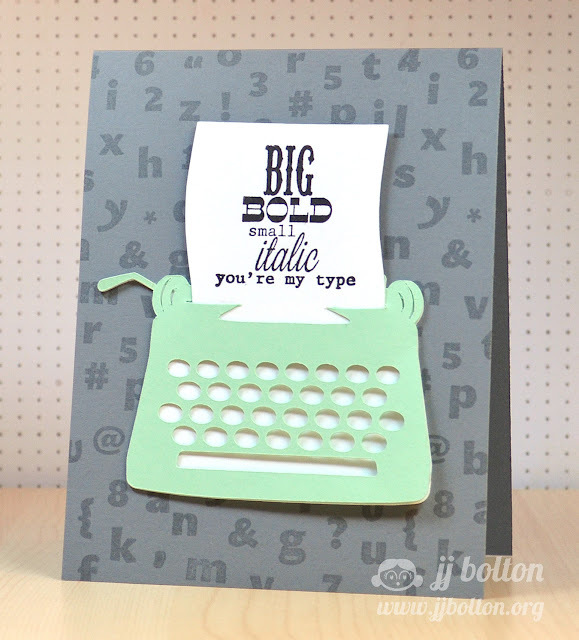 LOVE that typewriter die and the way you stamped that background! FUN! Really, really love this JJ! The colours, that typewriter, the *background*!! Serious love!! You just make the coolest designs! Absolutelt LOVE this!!! Fabulous sentiment and I love the background! Avery Elle Blog Hop: A Hiccup and an Apology! Paper Smooches ~ Dies to Die for!